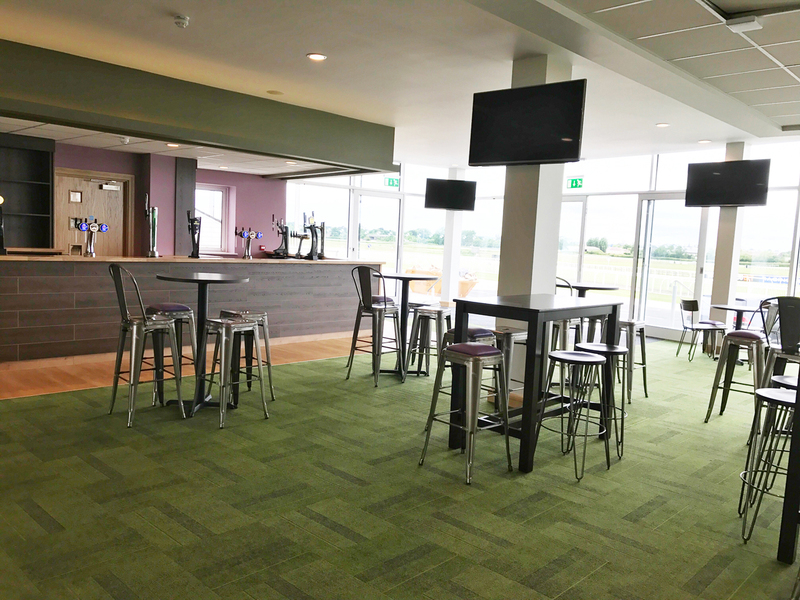 Wetherby racecourse, home to the 'Sport of Kings', contacted JB Commercial with a project that interested us greatly: the creation of new hospitality areas for clients, catering to the needs of casual customers all the way to exclusive guests. 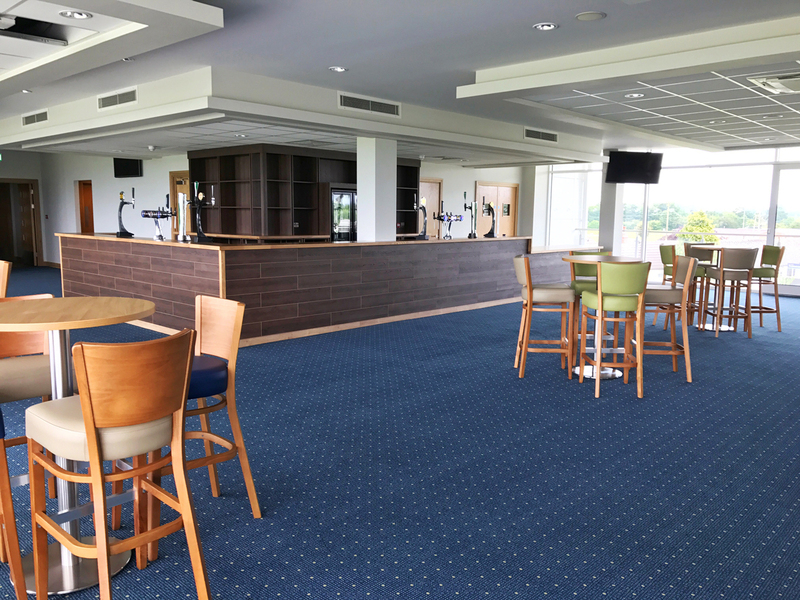 The first level houses 'The Henry Crossley Bar', a casual and relaxed bar area that can be accessed by all racegoers. 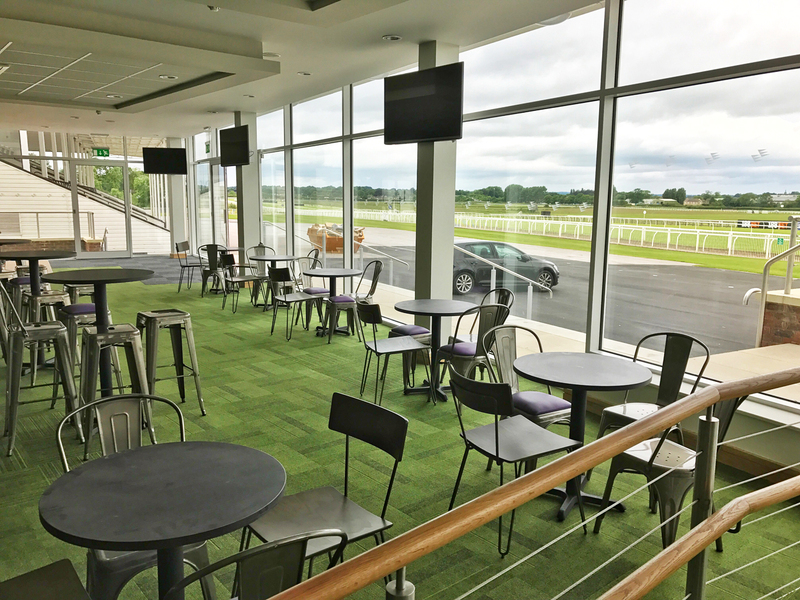 Including a sophisticated coffee lounge and betting shop all within the zone, this level also features large windows overlooking the paddock, multiple entrances and two bar areas ensuring all guests are suitably comfortable during the races. The perfect furniture for this area was the elegant French Bistro, mixed together with the solid, utilitarian Merit Tables and Art Deco Leon furniture range. 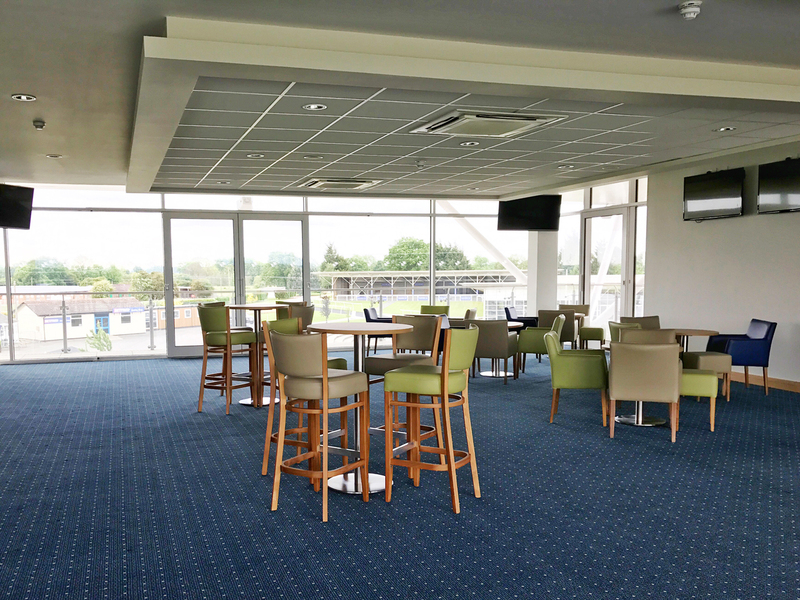 Clients who ascend to level two enjoy 'The Riston Suite' which has fantastic panoramas across the entire racecourse. 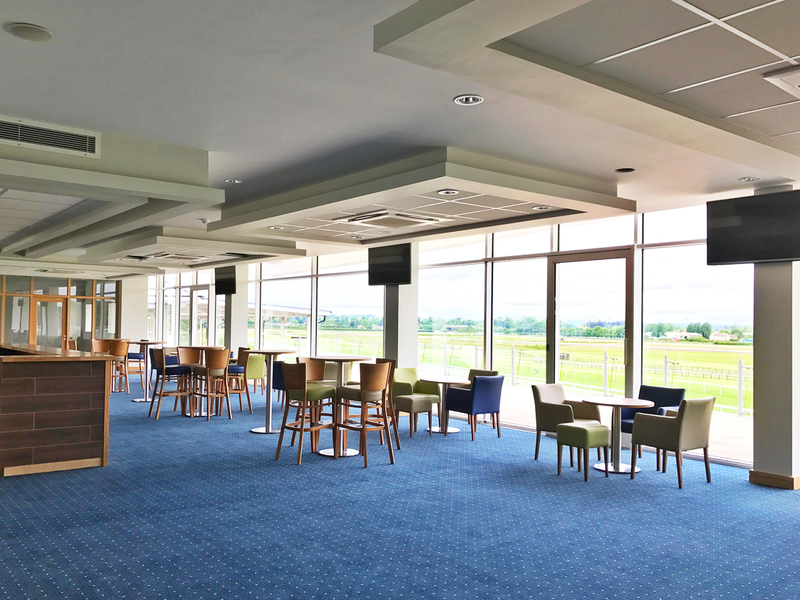 The stunning 'Winning Connections' lounge, bar and high end restaurant facilities provides a perfect environment for clients to enjoy the races whilst following the excitement in our beautifully upholstered Band Armchairs, Alpine Seating Range and modernist Bounty Table Range. At the apex of the building is the '1891' Bar, named after the year the original Wetherby Racecourse came to life. 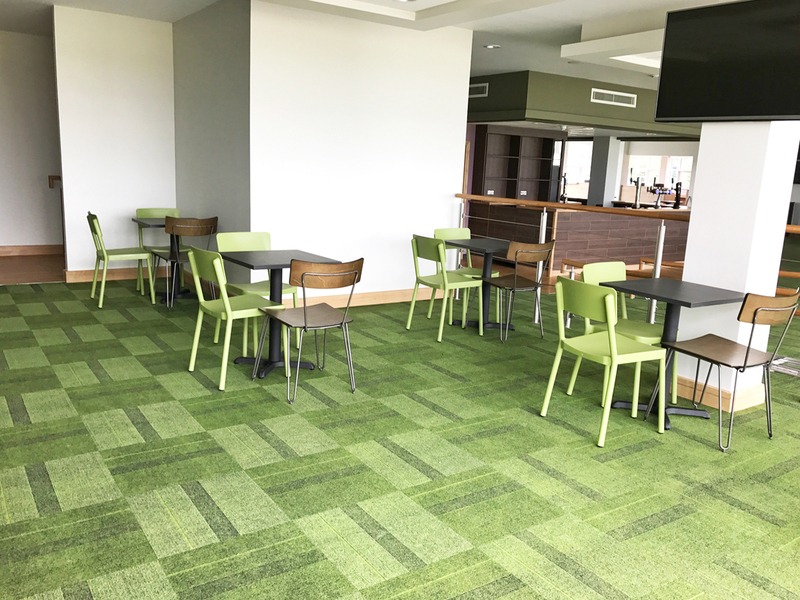 This floor, used exclusively by Premier admission holders, enjoys a particularly good view of the racetrack and clients can relax as the action unfolds below. Once again the soft, inviting Band Armchairs were brought into use with a mixture of earthy moss greys and vibrant lime greens dappling the floor alongside the classic French Bistro stools that finish the style perfectly. JB Commercial communicates with clients from the first day to the final opening, ensuring that the exciting vision that started out on the sketch board becomes gloriously realised. 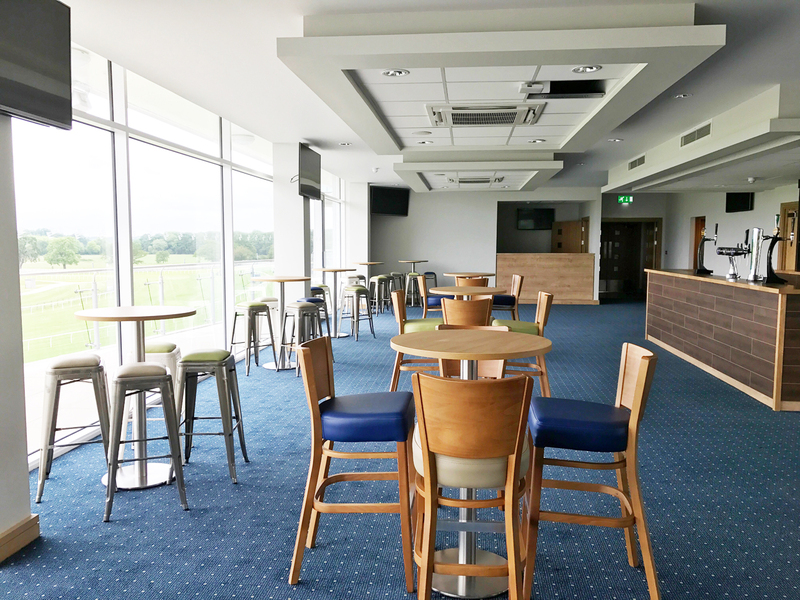 With our experience in design, our extensive furniture range and professional installation team, Wetherby Racecourse awaits the start of the Jump Season and the thousands of clients ready to enjoy the fresh new environment.